U.S. President Donald Trump said Tuesday that Israel will have to pay “a higher price” in peace talks with the Palestinians as a result of official U.S. recognition of Jerusalem as Israel’s capital last year. Speaking at a rally in Charleston, West Virginia, Trump said it was now the Palestinians’ “turn” to “get something very good” in potential peace talks with Israel. Trump touted his decision to recognize Israel’s claim over Jerusalem and move the U.S. Embassy there, which sparked international condemnation and drew the ire of the Palestinians. 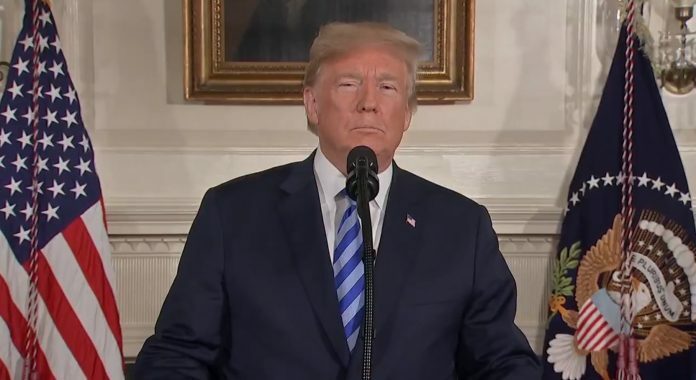 “If there’s ever going to be peace with the Palestinians, then this was a good thing to have done,” Trump said of his decision. This was not the first time Trump has said that Israel will need to pay a price for U.S. recognition of Jerusalem as Israel’s capital.